Colgan Sports was established in 1990 by Aidan Colgan and is 100% Irish owned. There are now five branches in Ireland located across Leinster in counties Offaly, Laois and Kildare – Portarlington, Portlaoise, Tullamore, Naas and Mountrath. Here at Colgan Sports the customer always comes first and we pride ourselves on our excellent customer service. Instore, over the phone or online.. our friendly team will assist you. Our large portfolio of products are very competively priced. We carry an extensive range of sports gear covering all sports from football and hurling, swimming to hockey and golf.. we even cover an extended range of sports – tennis, cricket, pool & darts, basketball, boxing, squash, karate, rugby and running and fitness.. we have got you covered at Colgans for all your sporting needs! We stock a huge portfolio of top sporting brands across all categories -adidas, Asics, Nike, Puma, Skechers, Under Armour, Canterbury, Callaway Golf, Taylormade, Titleist, PING, O’Neills, O’Meara, Top Pro and Wilson to name but a few. Browse our website to see full range, you can even shop by brand in our Mens, Womens and Kids department where you’ll find clothing, footwear and accessories. Special pricing discounts are available to sports club and societies. Contact us for further information or to request a quotation. We also offer a shipping service to addreses in Ireland, UK, US, Europe and Australia. Please visit our Delivery page for more information on this service. 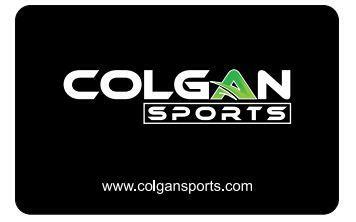 Pro Sport is the private/own brand/label of Colgan Sports. We provide a service whereby you can order personalised jerseys and club leisurewear including socks, half zip tops, gilets, shorts, tees, training pants & tops and more. For more information on this service please contact the Colgans Pro Sport department on 057 8623005. My Club is a one stop shop for all your Club’s leisurewear. From Half Zips, Jerseys, Shorts, Socks & many more items, this is an ideal place for your Club Members to shop for all their favourite Club Merchandise all branded with the artwork or logos of their local Club. It’s a hassle free service that caters for a range of sports. To find out more about how to set up a My Club shop get in contact with us today on 057 8623005. One of our product offerings is the supply of school uniforms for all the primary and secondary schools in the surrounding areas of our 5 branches. Everything from trousers, skirts, shirts, blouses, pinafores, ties, footwear to PE unfiroms, we’ve got all your child’s school needs covered. Uniforms are all crested with the local school’s crest. Our uniform range can be purchased in store only. To find out more information on this range just give us a call. Click & Collect allows you make an order online and then collect it from one of our branches. This service is available for most of our products online. The majority of orders will be ready for collection in 2 working days. You will receive an email notification when your order is ready for collection at your pick-up point. We can Embroider or Print your logo or artwork at Colgan Sports Riverside Print & Design. Embroidery is a very professional and hardwearing option if you require personalised garments. Club crests, names, numbers etc can all be embroidered onto clothing, caps and bags and more. We use the best materials for your items to give it the highest standard of Embroidery and Print.